Sometimes a painting just flows - you know the size, the color palette, the movement of the piece. "Lush" was one of those paintings. 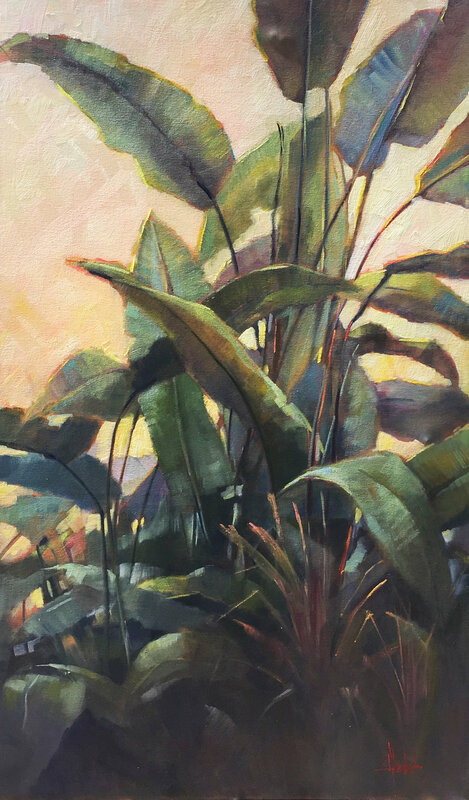 I knew when I saw the plant at the Botanical Gardens outside the Prado, that this was something I wanted to paint. And paint it really large.